Advance Reading Copies of Noir Viking Fantasy! Ooooh, I am particularly pleased to announce this one! 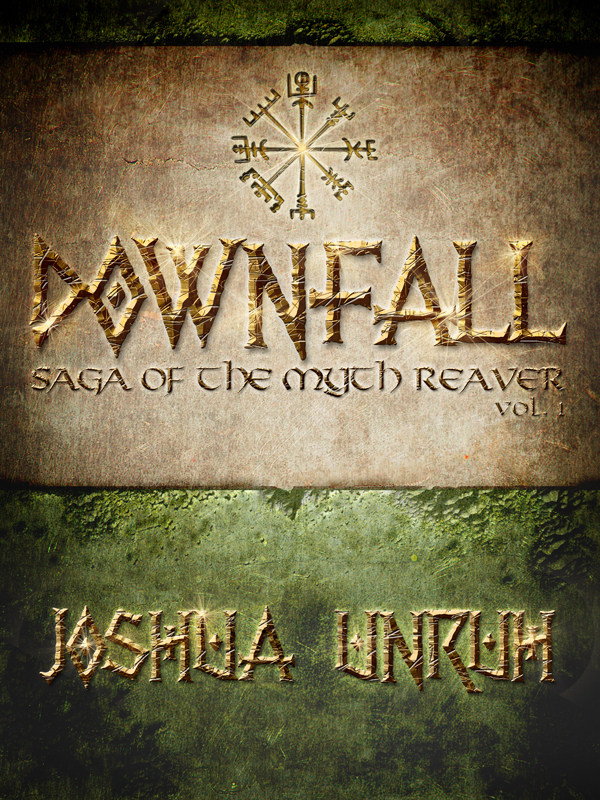 My friend and fellow Consortium Books author Joshua Unruh is getting ready to release his second novel: Saga of the Myth Reaver: Downfall. And you, my dearest inklings, get a chance to read it before it’s published. That’s right, we’re talking Advance Reading Copies here! 1. I’ve read Viking fantasy before and did not enjoy it. 2. I read Josh’s Viking fantasy, and I loved it. 3. Josh’s novel isn’t just Viking fantasy, it’s dark (read: NOIR) Viking fantasy, and Josh does dark so very, very well. 4. As part of my gainful employment at Consortium Books, I had the privilege of being Josh’s writing coach on this novel. We had a blast. The Nine Worlds have never seen a hero like Finn Styrrsson. Blessed with an unmatched thirst for victory and the supernatural strength and vigor to slake it, Finn might have been the greatest warrior-king his people had ever known. But he was born the youngest of eight princes with a conniving eldest brother who won’t abide the threat Finn poses to his rule. Despite Finn’s unfailing loyalty, he is forced from his home to forge a new destiny. Already a powerful warrior and deadly reaver, Finn discovers that he above all others is equipped to kill the monsters, the giants, the myths that besiege Midgard. He becomes the Myth Reaver and a living legend. Yet despite his prowess and fame — indeed because of them — Finn never wins that which he most desires. He never finds a home. After a lifetime spent battling dread monsters and shining demigods, Finn realizes that in all the Nine Worlds, there is only one enemy whose defeat can give him the renown he so richly deserves. If you think this sounds just fabulous, and if you’re willing to write a review of the novel after you’ve read it, you’ll need to go to publisher Aaron’s blog and leave a comment with a valid email address (which will not be used for any purpose beside this ARC). 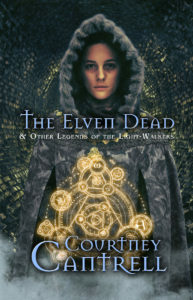 Consortium Books will send an ARC to the first 100 readers who ask. 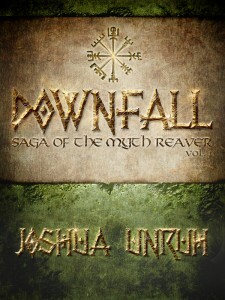 ARCs of Viking fantasy Saga of the Myth Reaver: Downfall — get ’em while they’re hot noir!